Join our funnel mailing list. Get more great content sent right to you. It’s getting harder and harder to keep track of every new platform and acronym in the modern marketer’s arsenal. So here’s a list of the core terms and technologies we believe every data-driven marketer needs to know to understand all the techno-babble, look smart in meetings and stay on top of this crazy, complex discipline. This is the good stuff, the richest source of insight into your ideal customer—data that’s collected, owned, and managed by your organization. It’s the data collected by you, from your audience and customers, and stored in your systems. So, technically, it should be the easiest to learn from and activate. But if you can’t tie the data in all your siloed systems (like your marketing platforms, CRMs, POS systems, ERPs, contact center databases, etc.) back to real people, it’s not so easy to tap into. This is data that consumers provide to another company that—with the consumer’s notification and consent—you may access through a partnership agreement. Put another way, it’s someone else’s first-party data. For instance, you could broker a deal with an airline to share loyalty card data to improve your targeting. This is data that was collected on other sites, platforms or offline, by…you guessed it—a third party. Third-party data is used extensively by companies to better understand their audiences and to better target prospective customers. It’s great for demographic, contextual, and behavioral targeting. Like if you needed to reach an audience of 24- to 36-year-old males who love wine but not cheese. A marketplace where advertisers and publishers buy and sell ad inventory using automated processes like real-time bidding (also explained later). Two you might have heard of are DoubleClick Ad Exchange and OpenX. When you buy an ad, you expect it to be shown to a real person. Unfortunately, that’s not always the case. Sometime, fraudsters use bots to troll web pages and load ads, driving up revenue for themselves. It’s extremely lucrative to be in ad fraud, which makes our jobs as marketers really hard. Ad fraud messes with your measurement and steals your money, But publishers and marketers are coming up with new ways to track and fight it. There’s a lot you can be doing, but the time to start is now. Ad servers store ads, serve them to publishers and their website visitors, count the clicks and generate reports. There are ad servers for publishers as well as advertisers, though the technology is roughly the same. The reason they have different ad servers is to gain greater control over inventory and reports. Ad targeting is the favorite tool of data-driven marketers. It’s using what you know about a customer or prospect to serve them the most relevant ads. It can be as simple as cookie-based retargeting with the pair of shoes they looked at on your site yesterday, or as complex as using CRM, past-purchase, and interest data to inform ads for related products that a person might want to buy. This is technology that lets you show different ads to different segments of TV audiences within the same program. Those segments could be defined by behavioral, demographic, and geographic factors from 1st, 2nd, or 3rd party data sets. To interact with a customer on a specific marketing channel you need a way to reach them—you need an address. In the offline world, this is simple—to send an email, you use an email address. To send direct mail, you use a postal address. In the online world, addresses are anonymous, tied to devices, and changing all the time. This makes it hard to reach the same customer across channels and devices with a consistent message. That’s where identity resolution fits in. In technical terms, this is the discovery and sharing of patterns in a particular data set. You use it to understand past activity and make informed decisions. But whatever the agenda, it’s important to bear in mind which data set is being analyzed. If you’re measuring the impact of online ads on revenue, you need a unified view of online and offline customer activity to be sure you’re measuring the offline impact of those ads too. An Application Programming Interface (API) is a window into other platforms or applications. It’s the set of predefined commands, functions, and protocols that programmers use to interact with (and build on) another system. The data-driven marketing world couldn’t work without them. APIs power cool use-cases, like connecting your offline sales data to your Facebook campaigns to track who saw your Facebook ad and subsequently bought your product. Read more about the Facebook Offline Conversions API here. If someone saw a banner, a Tweet, a TV ad, and a magazine ad, how can you tell what led to their decision to buy? The basic aim of attribution modeling is to figure out which marketing actions or channels contributed most to a certain customer action. It’s about using analytics to give credit where credit is due, and knowing how much credit is due. This gives you the data you need to optimize everything from budget allocations to messaging to campaign strategies. You can learn more about how identity resolution powers smarter attribution modeling in this eBook. This is when you exclude a list of people from receiving a certain ad or campaign. For instance, if your online and offline data was connected, you could make sure your current customers don’t get exposed to your first-time buyer promotions. So if you’re offering a three-month free trial to prospects, you can ensure current customers aren’t exposed to the ad. Audience targeting is the practice of sending a specific message to a group of people based on shared attributes or behavior. For example, finding that your best customers are 25-35 years old and running a campaign on Facebook that targets only that age range, or promoting concert tickets to IP addresses located near the same city as the venue. 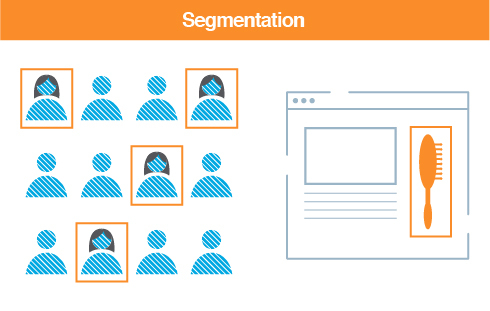 The next level up from audience targeting is marketing segmentation. Most data-driven marketers are tapping into both disciplines in one way or another. Old-school digital campaign optimization was based on clicks and impressions. Now it’s possible to measure the impact of digital marketing on what really matters—sales. The key is anonymization. When purchase data is anonymized, it can be linked with online campaign exposure data (info on which devices were exposed to an ad or website). Now you have an end-to-end picture of your campaign you can use to measure sales lift. To learn more about how LiveRamp powers closed-loop analysis with Facebook, DoubleClick, Bing, and Yelp, click here. This is where you reach the same customer on different marketing channels with a single campaign. Joe sees a display ad on Facebook advertising a new pair of shoes from a brand he likes. The next day, he sees a video ad on Yahoo for free shipping on that same pair of shoes. The week after that, he receives an email with a 10% off coupon for those shoes, and chooses to buy them at the mall the following weekend. Multichannel marketing is usually used to describe the strategy of using many different channels, but the individual channels still behave independently of one another. So Joe and Maria see the exact same offer on Facebook, the website, and in their email. They can then choose to buy that product via an e-commerce site or in-store. This is where you reach the same customer across different desktop browsers, smartphones, tablets, and other internet connected devices. Joe saw a display ad on Facebook on his smartphone and then a video ad on Yahoo on his laptop. The ads could be part of a cross-channel campaign or multichannel strategy. The feeling expressed by most marketers when they encounter the fragmented nightmare that is their data layer. Also see victim. These are the little pieces of data that a website sends through a user’s browser to recognize a device for a future visit. They’re mostly used to relay information about a user’s portrait and previous activity on the site—things like how many items were in their shopping cart. They can also be used to connect the marketing platforms in your tech stack based on matched data sets. 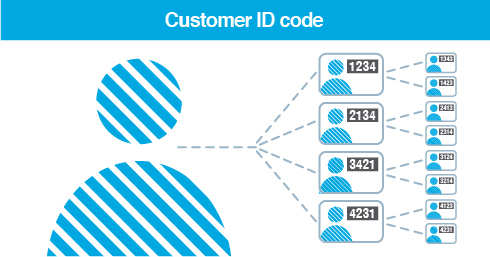 When any marketing system interacts with a customer or a prospect, they give that customer a unique ID code. The trouble is, when different systems give different codes, you end up with multiple codes for the same customer. That’s why your targeting software doesn’t know it’s dealing with the same Joe as your personalization software. That calls for identity resolution. Annoyingly, your data lives in a bunch of disconnected systems. Data integration is the process of combining data sets that live in different applications so you have a unified view of your customer. There’s a lot to think about. In addition to field-naming conventions (think “F.Name” in Data Set 1 vs “First Name” in Data Set 2) or alias values (CA vs California), you also need some way to recognize that Janet Smith (maiden name) and Jane Johnson (married name) are actually the same person. The picture gets even more complicated when you want to start matching offline records to online data, like the digital ads that Jane was exposed to. To put these data sets together, you need a privacy safe approach to recognition and data connectivity that anonymizes your records before matching and linking your data. Data Privacy is the intersection of the collection and sharing of data, people's right to privacy, the laws regulating personal data and how it is used, and industry best practices to protect and build consumer trust. As such, the responsibility for data privacy stretches across teams, from legal to security to engineering. Data privacy is so important that it even has its own holiday—Data Privacy Day (January 28th). So mark your calendar. Data matching is the process of connecting the anonymized identities assigned to people and devices in one platform and the anonymized identities assigned to people and devices in every other platform. This is what powers people-based marketing. For instance, you could match CRM data about your customers to cookie data from your website to make sure Joe Customer gets treated like Joe Customer deserves, whenever he’s on your site. To protect users privacy, comply with regulations, and adhere to industry best practices, offline data needs to be anonymized before it can be matched to online devices or digital IDs. If you’re evaluating any platform that matches data, it’s important that you’re armed with the right questions to ask. Check out these five questions to get you off to a good start. 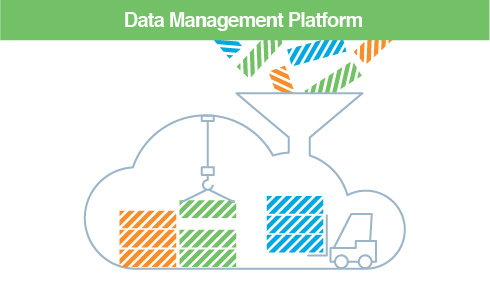 A ‘Data Management Platform’ sounds simple enough. It’s a platform for managing data, right? Pretty much. DMPs evolved out of a need to analyze the data collected in the anonymous cookies that are collected by websites and DSPs. They allow you to build segments—using behavioral data from your own campaigns and/or a 3rd party—to target specific audiences with the right ads. They centrally manage and present all your campaign activity and audience data to help you optimize your media buys and creatives. An evolving species with remarkable resilience; capable of withstanding immense technological fragmentation to give customers and prospects better experiences. Adaptable, highly intelligent, and easily distracted by shiny new channel opportunities, the data-driven marketer feeds on the fruit of the conversion tree. Data ethics is a company’s approach to protecting the data they own and have access to. While complying with the law is the bare minimum, many companies, including LiveRamp, take data ethics further, establishing data governance practices that encompass what their customers and users consider to be fair and just. Today, because of data breaches, laws like the European Union's General Data Protection Regulation (GDPR), and countless other news-making events, data ethics is becoming another measure of consumer trust in the brands and companies they support. Data can be funky—and not in a good way (see data quality for why). The solution to this problem is data hygiene, or data cleansing, which is the process of fixing all these glitches and making sure all your data complies with your own set of standards. Data hygiene is one way to ensure better marketing metrics as regular cleansing removes old or inaccurate data from your files. This greatly decreases your instances of reaching the wrong people or sending the right folks the wrong message. Your CRM database is a great initial place to scrub away. To learn four best practices for data hygiene, watch this webinar. Data onboarding is when you match data collected offline to data collected online. Your offline customer data can include first-party information, like purchase data (collected in-store) or call center data, and third-party information like demographics and buyer propensities. This offline data is matched to online devices and digital IDs in a privacy-safe way, then delivered to the ad platforms, DMPs, and social channels where you run your campaigns. The process enables more strategic cross-channel and omnichannel campaigns. There’s a 5-minute guide to Data Onboarding right here. The thing about data is that it’s usually pretty dirty. Different systems write dates in different ways. The addresses stored in your database become irrelevant when your customers change homes. There’s a whole lot of ‘erosion’ and variability that’s really important. A ‘Demand Side Platform’ is software that automates the buying of display, video, mobile and search ads for you. It automates the grizzlier bits like targeting the right audiences, buying the right impressions in real time, delivering the right creative, and finding the right publishers. Imagine a normal creative and then explode it into all its component pieces—the copy, the background image, the size and color of the call-to-action button. Dynamic creative is able to cycle through different combinations of these components, optimizing the whole thing in real-time for every viewer. So you could have a banner featuring that 24- to 34-year-old male that loves wine transform into a 55- to 65-year-old female who loves it too. An ‘Email Service Provider’ gives you an interface from which you can send, track, and manage marketing emails at scale. They make it easy to segment your list of addresses to target different types of customers and prospects with different creative. This is getting close to some deep data geekery, but it’s worth knowing. ETL stands for ‘Extract, Transform, and Load’. Those are basically the three things you need to do when moving data between systems. You have to extract the data from the sources, transform them into a standardized format, and then load them into a destination system. It’s the most common approach to linking the data stored in one structure to the data stored in another structure. The sound made by marketers who realized their awesome attribution model didn’t account for offline customer transactions. Usually best to give them something soft to hug and an explanation of the term ‘identity resolution’. Identify resolution is the near real-time process of connecting hundreds of identifiers, used by different channels, platforms and devices. It enables marketers—along with supporting agencies, technology platforms, data owners and publishers—to tie them back to the same person in a deterministic, privacy-safe way for people-based targeting, measurement and personalization. This is an incredibly smart way to expand your audience and extend your reach. It’s where you (and your 3rd-party data provider) analyze your current customer data to come up with a target audience segment of people with similar behavior, demographics or preferences. If single mothers who love Battlestar Galactica and Brazilian Coffee are sweet spot customers, you could make sure your next campaign reaches more people most likely to fit that bill. By tying all your data back to real people, identity resolution makes look-alike modeling a whole lot more effective. As the scale of marketing efforts grow, and the granular targeting capabilities of online channels evolve, it’s become clear that marketing both needs to become—and can become a lot more custom. 1:1 marketing is about delivering experiences that have been customized to cater to the likely preferences of customer, rather than broad segments. This is the number of records in one data set (say, customers in your CRM) that matched up with the records (say, online devices) in another data set, expressed as a percentage. When your marketing spans multiple channels, you have to be smart about how you invest in different media. If search isn’t getting the results you expected, where should you reinvest that media spend? Mix optimization is about analyzing what works and what doesn’t (as well as how different channels impact one another) so you can optimize the distribution of your media spend for maximum impact. So you’ve run your campaign, and now you want to know what worked and what didn’t. Never fear—marketing measurement is here! For digital marketing, you could measure success in numerous ways. If you’re just getting started, you may want to try tying your campaigns back to offline or onlines sales with closed-loop measurement to see impact on revenue. With a little experience, marketers might move on to multi-touch attribution and incrementality testing. The most advanced probably have their own data lake. But measurement isn’t a destination, it’s a process of optimization where each round of measurement informs the next campaign. That’s why we call it the measurement journey. Your marketing stack is essentially all the technology you use to manage your marketing activities. The ‘stack’ is an old technology idea that aims to order things by ‘layer’. Roughly speaking, the marketing stack starts with technology used to store, manage, and analyze your data. This is what’s often called ‘the data layer’. On top of that, you’ll usually find technology to execute and optimize and manage campaigns. Your ‘application layer’ includes marketing applications that are increasingly delivered as ‘SaaS’ offerings, as well as media platforms, like Facebook, Google, Twitter, and Yahoo. To get maximum value from your data and technology investments, you need a ‘connectivity layer’ that connects your data to your applications and media platforms. Connectivity ensures data can be used to drive better experiences and results and also provides the marketing team with the flexibility to add in or swap out applications at will. Not to be confused with content marketing, native advertising is a type of advertising that’s made to look and feel like an organic part of the platform it’s on. For example, a native ad in an online newspaper will look like other articles, but with a clear indicator that communicates the reader is viewing sponsored content. Similarly, native ads in social media look like other content, but with a ‘sponsored post’ flag. Attribution is incredibly hard when either the customer’s action or one of the marketing actions took place offline in a store, a branch location, or contact center. Did they buy those socks in-store because of an ad they saw when they were using a news app? It isn’t just hard, it’s also really important. At the moment, eCommerce is just a tiny (6.5%) slice of the total US retail pie. So there’s potentially a whole universe of customer activity that isn’t being attributed to the right marketing actions. This is data that’s collected and stored in ‘offline’ systems, like CRM platforms, point of sale (POS) systems, email marketing platforms, and contact center applications. Typically this data is tied to some form of personally identifiable information (PII), such as an email address, name and postal address, or customer ID. A lot of marketers have struggled to integrate this offline goldmine into their online marketing and cross-channel attribution efforts. Identity Resolution solves this disconnect. This is used to describe an approach where you try to create one seamless experience across all your marketing and sales channels. Joe has a consistent experience across Facebook, Yahoo, the website, and the store and can interact with any channel from the other (using their smartphone while in your branch to print out an offer coupon, for example). Omnichannel marketing is more than just the next level of cross-channel marketing—it’s the holy grail of marketing. Instead of optimizing one campaign across a couple of channels, omnichannel marketing takes into account every campaign, channel, and touchpoint you have with a customer and connects the data from each of them to build a full view of your efforts. People-based marketing is the first step towards true omnichannel marketing, as it allows you to create a consistent view for each person your company interacts with, recognize them across their entire journey, and then use this data to inform future campaigns. This is the data that is collected and stored in digital marketing platforms such as DMPs, DSPs, and ad servers. Online data is typically tied to anonymous devices through cookies or mobile device IDs. A growing discipline based on the premise that marketers should be targeting people—not devices or channels or browsers. It sounds obvious enough but when you consider the monumental fragmentation of marketing technology and all the different IDs marketers have to deal with, it’s easy to see why it’s so hard to get right. The way we see it—the marketers who tie everything they do back to real, human, living, breathing, singing, dancing people will be the ones who win. And the ones who don’t, well, won’t. Personalization is making content, well, personal. It’s the ideal state of data-driven marketing because it allows you to take what you already know about a person to improve their experience. If this sounds a lot like targeting, then you’re not far off. Targeting and personalization are two sides of the same coin: once you find this person, you can then determine what to say to them. But personalization can get about as specific as possible, like putting their first name in an email or customizing your homepage based on past purchase history. All that is to say—data-driven marketing and personalization go together like peanut butter and jelly. In order to do away with the inefficiency and errors that stemmed from those pesky humans negotiating media buys, programmatic advertising (or programmatic media or programmatic marketing) was invented. It automates the buying, positioning, and mix optimization of media inventory, making real-time decisions about price, placement, and timing, based on rules you set. ‘Personally Identifiable Information’ is data that, on its own or when combined with other data, can be used to identify someone. Anonymization enables marketers to deliver highly focused, relevant experiences to audience segments while protecting consumer privacy and considering data ethics. It’s important to note that PII is a U.S.-specific term. In Europe, for example, the term ‘personal data’ is used to encompass PII and a broader set of data not included under the U.S. definition, including social media posts, pictures, transaction history, and more. With the European Union’s General Data Protection Regulation (GDPR) having taken effect in May 2018, it’s incumbent upon all companies handling personal data from Europe to broaden their definition of personal data beyond PII to ensure GDPR compliance. The term ‘premium publisher’ existed long before the growth of digital media buying, but like the old days, it’s still a term that’s governed by soft metrics like brand equity. Usually self-defined, premium publishers tend to offer better quality content to their readers, who usually trust them a lot more. Higher prices are usually a pretty good sign you’re dealing with a premium publisher (or a publisher that’s deemed themselves ‘premium’). Another one is that they tend not to work with Demand Side Platforms (DSPs). But this is one of those relatively subjective terms that has a very real impact on your plans. In the offline world, this is the science of knowing that Robert Fredericks, Bobby Fredericks, and Bob Fredericks, Jr, who lived in Kentucky and moved to Ohio, are all the same person. This is key to integrating and enhancing customer databases. In the online world, recognition helps you know which desktop browsers and mobile devices are connected to the same anonymous user. This is key to cross-device and cross-channel marketing. Identity resolution uses both offline and online recognition to match customer data to the right online devices and digital IDs. Anonymization is a key step in the process, ensuring data flows are privacy-safe. Retargeting technology lets you re-engage with people who’ve already interacted with you, using creative that reflects their previous interaction. So if someone’s been on your site and browsed blue shoes, your banner placements could carry a message encouraging them to come back for those specific shoes. Eager to become a retargeting ninja? Read about how to retarget with data you already have with our slideshare Targeting 101: CRM Retargeting. CRM retargeting (a.k.a. offline retargeting) is about targeting customers (using the data in your CRM) with media buys that extend your campaign’s reach and reflect what you know about those customers. ‘Real-time bidding’ is the automated system of auctioning media that happens between publishers and advertisers. It’s another one of those smart ways to keep the pesky humans out of the media buying nitty-gritties. What everything—every process, every tool, every communication—needs to be if it’s going to involve your customer’s data. Instead of talking to your whole audience like one big, homogeneous blob, segmentation is about dividing your target market into meaningful chunks based on preferences, behaviors, past activity, and demographics. It’s the cornerstone of marketing and taken to it’s natural extreme, it leads to the segment of one—or 1-to-1—marketing. A self-service model allows users to access and manipulate their service directly. Innovation has exploded in the area of marketing technology, but IT rarely has the bandwidth to take on even more systems, and IT will never have the domain expertise that you have as a marketer. That’s where self-service tools and dashboards come in. They replace the need to manage things like data using code, with simple point-and-click interfaces that marketers can use to solve their own data problems. This is data that users share via social media—explicitly or implicitly through their behavior. The great thing about social data is that the user expresses all of it, so it’s far likelier to be an accurate representation of them. If you’re wondering how to incorporate social data into your marketing campaigns, consider onboarding your data to Facebook or adding Snapchat to your people-based marketing mix. Tags are bits of code that live on your site and do things like collect data for analytics, cookie visitors, serve advertising, and more. The trouble is, you’ve got lots and lots of tags for your integrations with different platforms—and tags go out of date, conflict with other code on your website, and cause security problems and slow down load time. In short, they can be a nightmare. Tag management software does smart stuff like making sure the tags don’t load before your site’s content does. If you make a change to the site, you don’t have to change every single tag one at a time. Targeting is the process of using customer data to shape distinct segments out of your audience and then pursue them with distinct experiences. This can be incredibly hard to do when your customer data lives in silos, separated from the platforms you use to engage with your customers. This has happened to you—think of all the times you’ve seen an ad for that pair of shoes you looked at last week, or pretty much any Facebook ad. Targeted advertising is the act of sending an ad to a person based on their attributes (eg. demographics or interests) or observed behaviors (eg. site visits or clicks). There are literally hundreds of ways to send targeted advertising—the only limit is the data you have and your imagination! Learn about CRM retargeting, audience suppression, and others here. A data-driven marketer who has been forced to work with tiny fragments of disconnected customer data, but is still expected to deliver effective campaigns. Read our rant to find out why we’re in this mess and what you can do to get yourself out of it. Managing or optimizing the revenue a publisher gets from its inventory—usually by varying the price, underlying audience data, and sales approach. For instance, a publisher could sell its premium placements directly but farm out excess inventory to ad networks, using yield optimization algorithms. Phew. That’s a long list. But keep an eye on it because we’re going to keep updating it every time something new and shiny evolves in the burgeoning discipline of data-driven marketing. In the mean time, why don’t you try downloading your free copy of the Glossary?